​Hello, I am a Level 1 certified Wellpoint Hypnosis Method Practitioner. With fifteen years working in the field of Healing Arts, I am also a Licensed Massage Therapist, Yoga instructor, as well as certified in other healing modalities. I am passionate about helping people overcome obstacles and heal in all areas of their lives through gentle, heart centered practices. Through the utilization of the powerful, yet gentle tool of Wellpoint Hypnosis Method™, deep and lasting transformation and self empowerment can help you begin to live your greatest, most joyful, peaceful, abundant, and thriving life. The life you deserve and are meant to live. 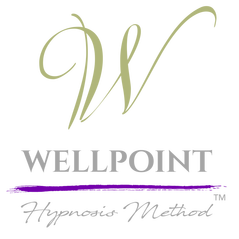 I am excited and honored to share the incredible tool that Wellpoint Hypnosis Method™is through gently guiding you on a journey that is in accordance with your Soul’s highest good in order for you to access the fountain of wisdom that lies within you. The healing and transformative possibilities are endless. Note: All in person sessions utilize Ted Winslow’s deeply relaxing "SOUNDSYNCTECH™" frequencies licensed to Wellpoint Hypnosis Method™Practitioners and are only used for in person sessions. I am also willing to travel for sessions. For students of Wellpoint Hypnosis Method™, I am offering sessions at 50% discounted from the original prices.